If you are an Irish citizen in Western Australia requiring emergency assistance, please ring +61 (0)2 6214 0000 and follow the voicemail prompts. During office hours you may also contact the Honoroary Consulate at Perth on 08 6557 5802. 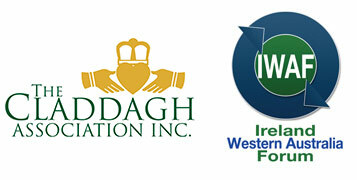 For emergency assistance out of hours: Marty Kavanagh – Honorary Consul of Ireland, Western Australia on 0430 960 859. Alternatively, you may contact the Duty Officer at the Department of Foreign Affairs in Dublin at +353 (0)1 478 0822. Please note that the we can not offer assistance relating to problems with Australian visas. If you require help of this type, please make contact with the Community Resolution Service of Australian Immigration 1300 853 773. You may speak with them anonymously if necessary. If you require emergency medical assistance while in Australia, you may be entitled to free public care, depending on your visa type. Details of the Reciprocal Health Agreement are here. Medicare’s phone number is 132 011 from inside Australia. The Honorary Consulate of Ireland WA takes this opportunity to remind Irish citizens to please complete the page in their passport which is provided for next of kin details. This can save valuable time in emergencies.